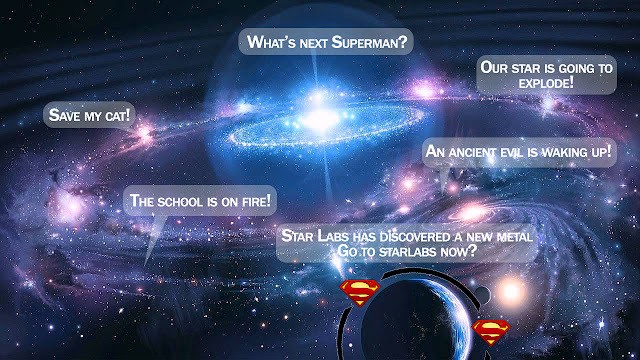 From the ashes came Joshen: How to make a Good Superman Game. I've read many articles criticizing the many brave and foolish developers who failed at creating a good game about The Man of Steel. The consensus is that it's incredibly difficult to stay true to the godlike power of Superman while confining him to game mechanics. The glaring problem being Superman's invulnerability, the minute you stick a health bar on him as a developer you've lost. This got my old hamster wheels turning. How would I make a Superman game if given the chance? 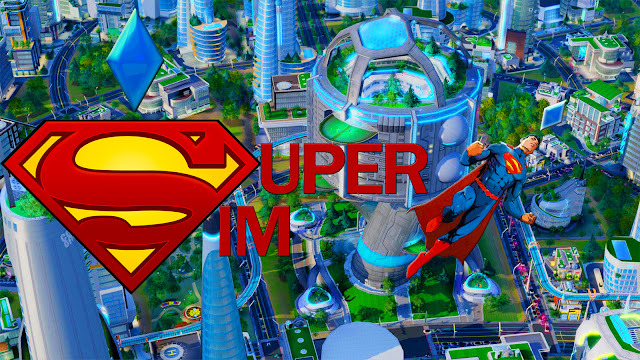 Surprisingly I have not one but three solutions which would make awesome Superman games. Let's take a look at the big picture. As a player I would like to have access to a true Superman experience. I want all his powers, and I don't want any gimmicks limiting those powers. What that means is you end up handing me a game which I can't lose. Essentially being Superman means you will always overcome anything thrown at you. 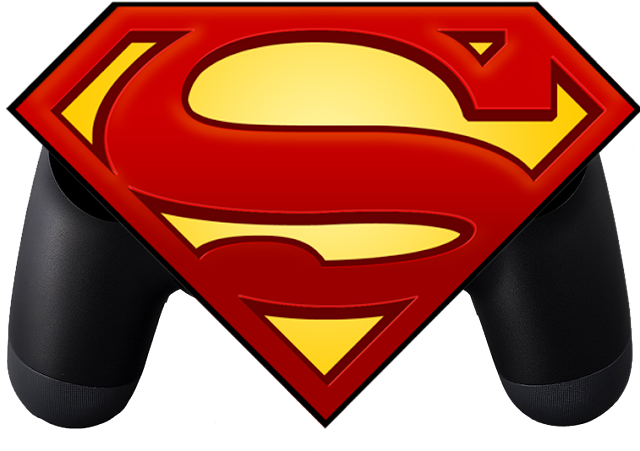 Video game wise being Superman also disrupts several mechanics I look to for enjoyment. There literally is 0 room for character progression or leveling because Superman's powers start at the strongest they can be. There also is very little to discover, as I kind of already have an idea of what I'm in for. I'm going to Punch things and fly. If there are swarms of things you mix it up with heat vision or ice breath. 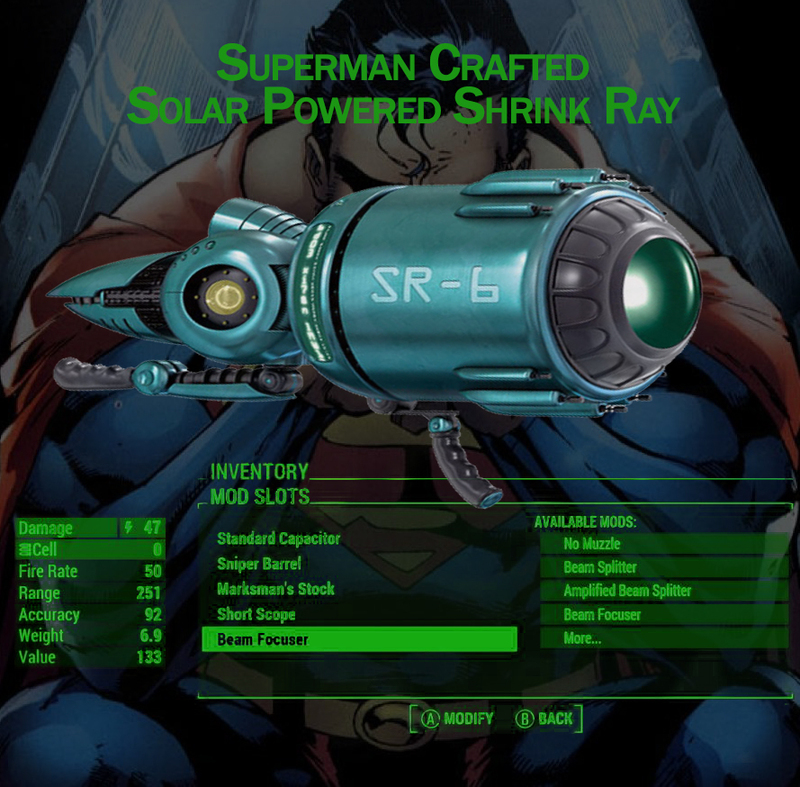 Shoehorning Superman into a traditional action or RPG game will end up in disaster every time so you have to innovate! We take Superman and give him an open world. All powers are available to you from the beginning. The game world is persistent and the most important feature is the A.I. Each citizen is living and aging making daily decisions, that affect the other citizens. If a building is destroyed citizens die, and structures take time to be rebuilt. I'm talking about an A.I. so advanced that even your criminals aren't just nameless faceless thugs but they have family and their actions cause ripples in the game. Then we take this living world and light it on fire. As Superman, you can stop many of the problems happening around you, but you can't stop them all. What you choose to ignore, and what you respond to shapes the world that will in time become unique to the player. Taking a hands-on approach may lead to the creation of smarter more deadly super-villains while a hands-off approach may create rogue metahuman vigilantes that you have to deal with. To take this idea a step further, you're not only limited to protecting Earth. You monitor a few dozen planets which always seem to be on the brink of a planetary disaster. We take Superman and once again we need to give him a vibrant world worth protecting. The NPC's don't have to be as advanced as those in my first idea but we do need buildings to be populated and for people to be able to flee, die or be saved. The enemies you face can't destroy you. Some may if they have kryptonite but the problems they present can't be solved by simply punching through waves and waves of trash mobs. You have to use your powers creatively as well as develop tools in the fortress of solitude (maybe some gathering crafting magic/science) in order to avert tragedy. Essentially each crisis will have it's own invisible clock in which you have to figure out the true threat, find out how to neutralize it with the least amount of casualties, and repeat. You lose once the planet is destroyed. It would be best if the crisis can be procedurally generated so the game continues to feel fresh. In between each major crisis, Superman can spend time handling street level crime which provide subtle clues as to what the next big event may be. You're also free to use the downtime between crisis to invent things in the fortress and test out your own super experiments. We don't have full control of Superman but can direct him to handle certain tasks. We manage his daily life and his Super life as well as his interaction with others. The resources you manage are supermans emotions, and his overall mood is determined by the outcome of events. Sometimes he saves the day, sometimes he's not in time. All you can do is try to make the people happy and try to keep superman happy because a happy superman performs better under pressure. You also get to manage his love life, maybe lead the justice league and try to spend time as Clark Kent as well. All in a Sims like way.